The quality of the production is brilliant and each song is full of amazing modern vibes. Astonishingly beautiful voices, great live chemistry and catchy melodies that will have you humming all the way home. The music being created by The Weathering excites us. It’s adventurous, it’s fresh, it’s unpretentious and is, simply put, good music. Hong Kong finally has a truly quality International product on its hands. Firmly rooted in Hong Kong’s music scene, the American duo who make up The Weathering sing soaring songs about love and faith with lyrics ambiguous enough to be universally relatable. The Weathering is a Hong Kong based duo originally from the US made up of Jeff and Leora Caylor. The pair have created their own brand of dream pop full of romantic imagery and unique melodies. 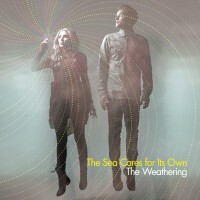 In 2013, The Weathering released their self-produced, debut album The Sea Cares for Its Own (available on iTunes) and have subsequently made appearances on Hong Kong radio and television. 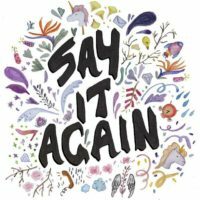 They released their Say It Again EP in November 2015. You can find our latest EP Say It Again, as well as our debut album The Sea Cares for Its Own everywhere great music is available online.